Block knife sharpeners,will sharpen any serrated knife, scissor's, Pocket knives,kitchen knives, and even some gardening tools . See Live Demo On Website. Block’s Knife Sharpeners Unique patent design able it to pick up on all cutting edge. 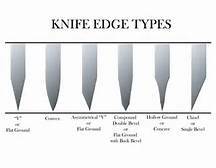 even serrated edge knives quit easy.